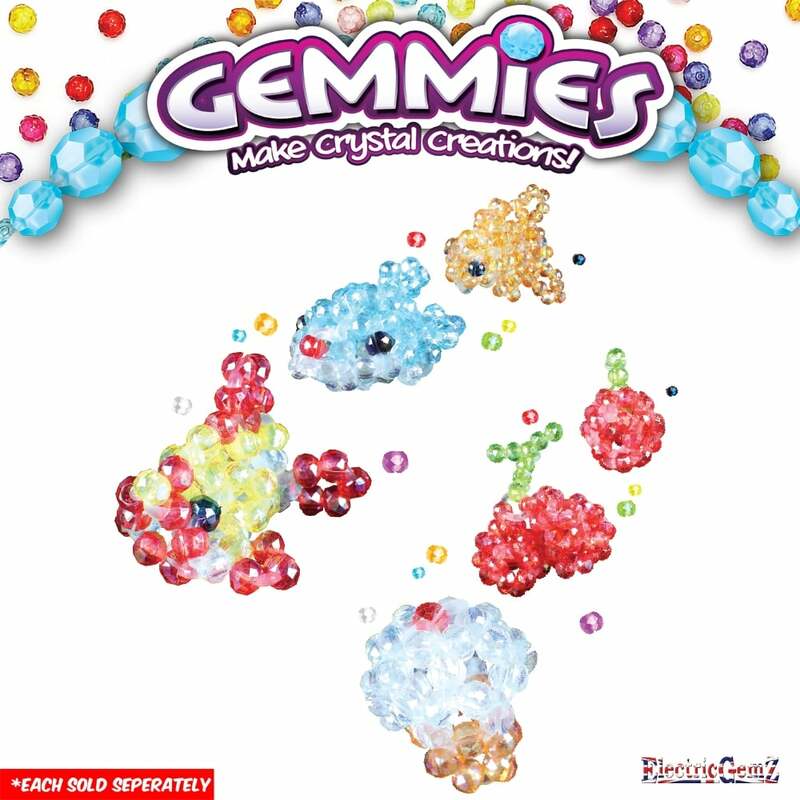 Create a 3D world with Gemmies. Choose from two themes to create collectible designs in beautiful, glittering beads! 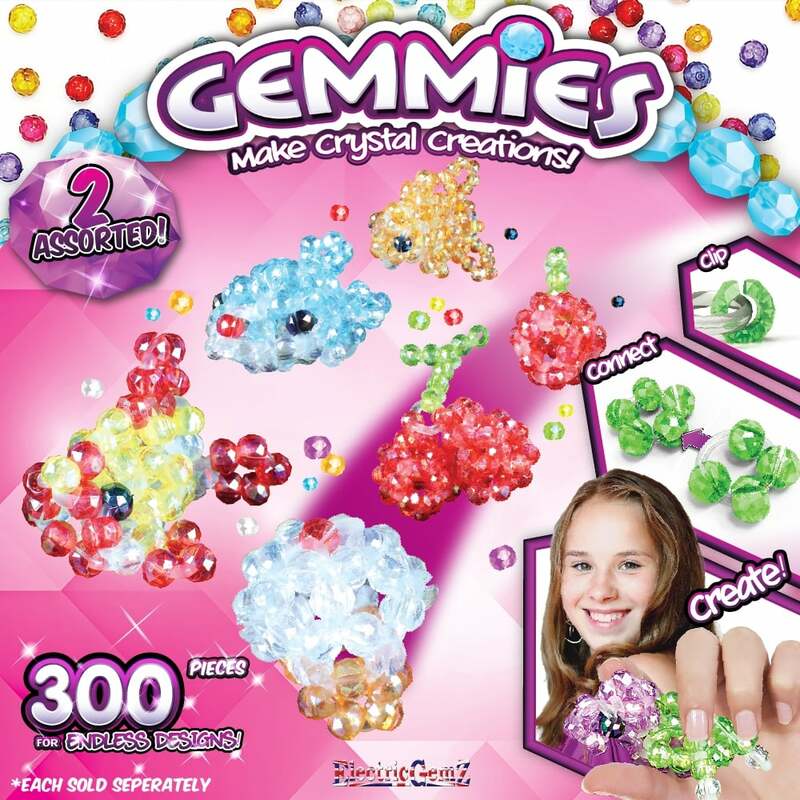 Suitable for ages 6+, just follow the templates provided to create your Gemmies in three simple steps - just hook, loop and create! Each pack comes with 4 designs to complete, along with templates, beads and instruction booklet. Makes lots of great 3D designs including food themes or choose from designs to make your own underwater world!